During the third week of December, 420 current and retired Strongwell employees came together at the Bristol and Highlands facilities for the annual Christmas celebration and to celebrate another successful year of business. As has become annual tradition, past and present employees sat side by side and enjoyed an elaborate holiday feast, this year’s catered by KP Duty. 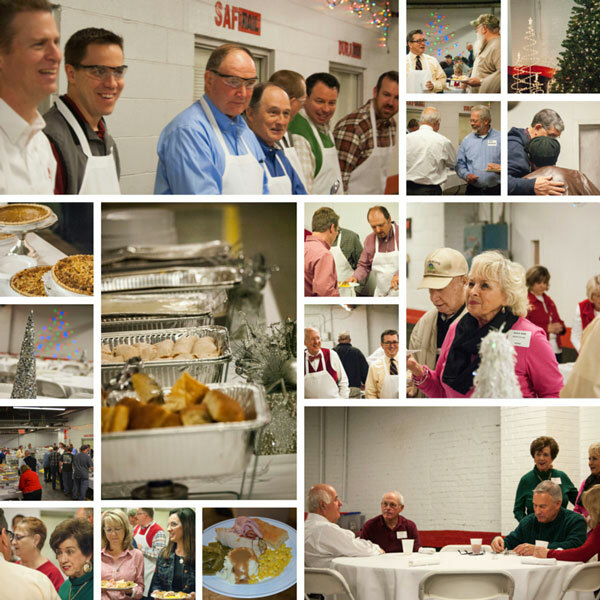 Positive epicurean reviews were given of both the meal and the senior Strongwell staff members who served it. The substantial and increased turnout to this annual celebration brings great joy and gratitude among management, retirees and current employees alike who are able to see new growth, meet new faces and share memories of Strongwell during a season of committed fellowship. Thank you to all involved in making this annual tradition a huge success.